Trying to figure out what to give your sweetheart this Valentine’s Day? What about a gift certificate for a getaway to Ephraim Shores Resort? 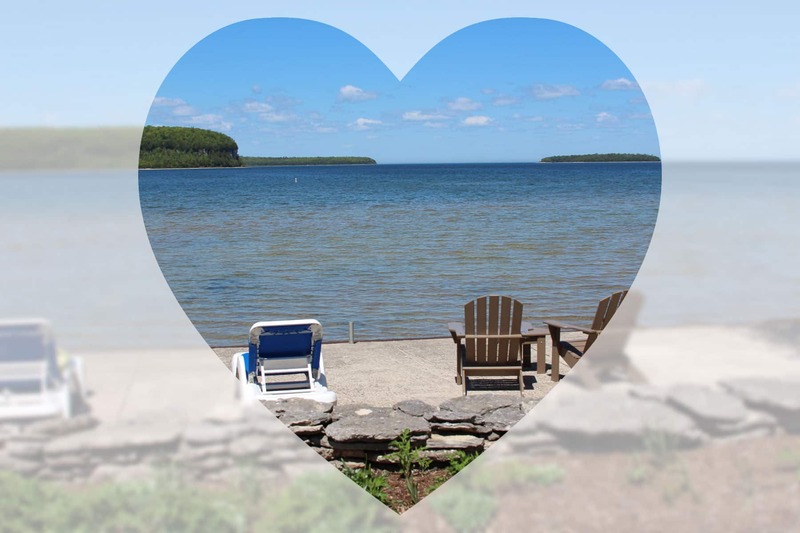 It’s the perfect time to plan ahead for that spring, summer or fall adventure in scenic Door County and Ephraim Shores is the ideal place to get started. Located in beautiful Ephraim on Eagle Harbor, we’re close to whatever you want to do, whether it is shopping, enjoying a great meal or spending time outdoors. Silent sports such as hiking, biking, kayaking and walking are great ways to experience Door County and all the beauty it has to offer. Although Ephraim Shores is close to Peninsula State Park, the county is also home to several other breathtaking state parks. Newport State Park and Whitefish Dunes State Park are both located on Lake Michigan and offer sandy beaches for swimming along with plenty of hiking trails. Rock Island State Park is located off of Washington Island and takes two ferry rides to reach. Although it takes extra effort and time to get there, you won’t regret the visit. Ephraim Shores Resort is the ideal place for a getaway with your sweetheart. We offer the best in waterfront lodging and have a variety of accommodations and excellent amenities to make you feel at home. Door County hotels begin their season in the spring and we’re no exception. Ephraim Shores opens May 6 and is currently taking online reservations here. You can also call us at 877-854-2371 to set up the plans for your visit. We make deciding where to stay in Door County easy so you can focus on planning the fun.